AEGEE-Tilburg is the European student association for you to travel, explore and experience Europe with. Join us in our parties, trips, workshops and many other activities in Tilburg and all around Europe. 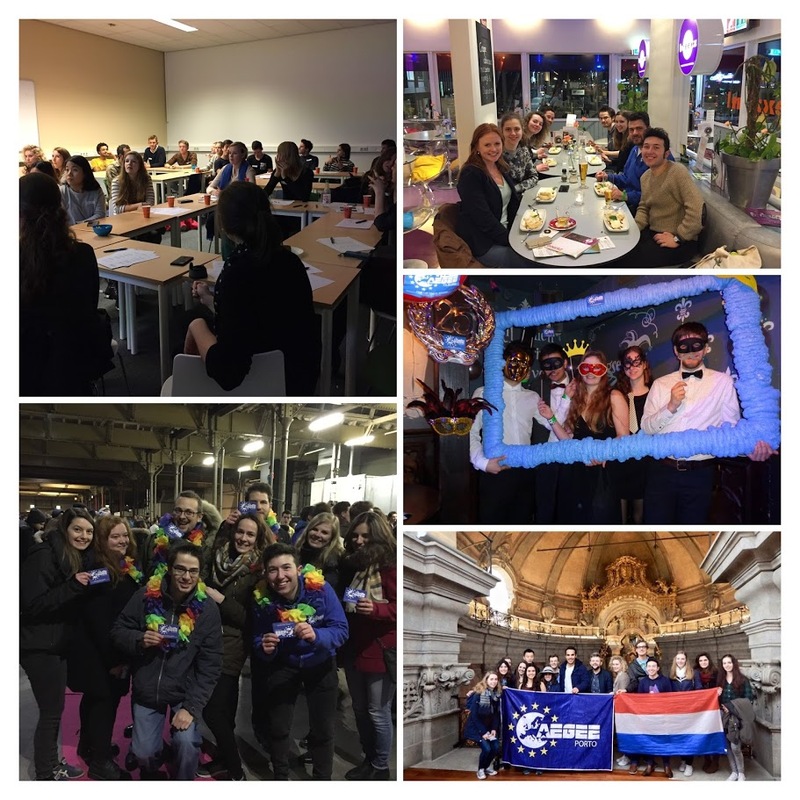 Check out our upcoming activities and see for yourself what AEGEE-Tilburg is about. Go to our European events page to see where in Europe you’ll be going next! A tradition within AEGEE-Europe is the European night in which each person brings traditional food and drinks from their home country. AEGEE-Tilburg decided to organise a similar event in which members were required to represent a country from Europe. You were required to sign-up in pairs and we decided to represent Hungary and dress up in traditional outfits. It was a fantastic activity because I got to experience lots of different cultures. In addition, I heard about their experiences with other cultures and got inspiration for my travel destinations. I joined AEGEE-Tilburg for an adventure to Peireias Greece. I went on an exchange which means that local AEGEE people hosted us and prepared a program filled with amazing experiences. My favourite part of the trip was the visit of the island Aegina, which had absolutely stunning nature. I also recall sitting for hours in a local tavern, while sipping uzo, discussing cultural differences, favourite holiday destinations and Greek politics with the Greek AEGEE members. Going on an exchange with AEGEE is unlike a regular holiday because you actually meet local people who become your friend, host, guide and drinking pal in no-time!